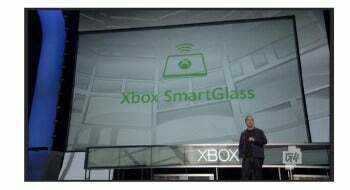 Microsoft took center stage at the Electronic Entertainment Expo on Monday introducing new software called SmartGlass designed to make sharing content across devices such as a game console, tablet, and smartphone a breeze. During its press conference the tech giant also announced a slew of new game titles, most notably Halo 4, along with sharing details for porting the Internet Explorer web browser to the Xbox 360 console. Microsoft's overriding theme was to make the Xbox the central hub for your entertainment needs reaching beyond the console to work with Windows PCs, iOS devices, Android tablets, and upcoming Windows 8 PCs. Microsoft is also using the Xbox to take a stab at Google TV with Internet Explorer headed to Xbox later this year. And coming soon to Xbox 360 are a number of new additions to popular game franchises including Halo 4, Gears of War: Judgment, Call of Duty: Black Ops II, Madden NFL 13, and Tomb Raider. Here's a quick rundown of the highlights from Microsoft's E3 2012 press event. With SmartGlass technology Microsoft is aiming to make Xbox a seamless entertainment experience that lets you easily transfer content between devices no matter which platform you're using. 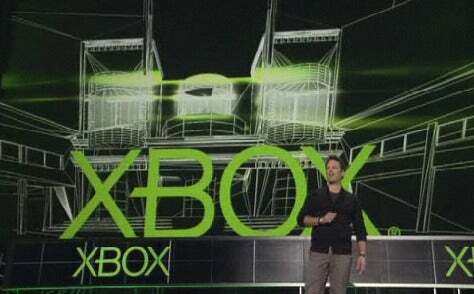 SmartGlass software can transform the devices you already know and love, said Mark Whitten, Microsoft's Xbox Live chief. interesting demo, Microsoft showed how you could watch HBO's popular series Game of Thrones on your TV while your tablet shows you an interactive map of Westeros (the imaginary land where Game of Thrones takes place). The map tracks where you are in the show's timeline and lets you see where other major characters are in their journeys. 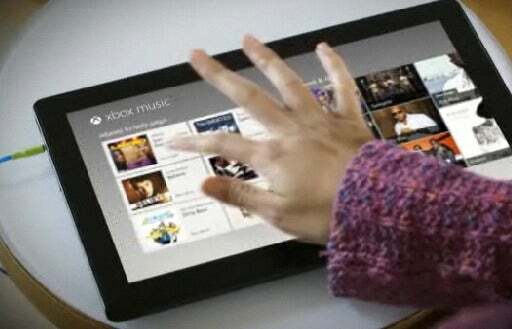 SmartGlass can also turn your tablet into a controller. Microsoft showed a video demo of using SmartGlass on a tablet to play Madden NFL by designing plays and controlling your team. The new SmartGlass app will be available for Windows 8 devices, Windows Phone, iOS, and Android devices. Forget about Zune, Microsoft is turning Xbox into its all-in-one entertainment brand. Coming soon will be Xbox Music an online music service featuring more than 30 million tracks and available on Windows 8 PCs and tablets, Windows Phone, and Xbox 360. Microsoft also announced new video content partners for Xbox such as Paramount Pictures, Univision, and Machinima. The NHL and NBA online subscription streaming packages will be available on Xbox 360 for each sport's new season later this year. ESPN is also expanding its Xbox offerings with live programming from ESPN, ESPN 2, ESPN 3 and ESPN U.
Microsoft is also expanding the reach of the Xbox brand by including apps for Xbox games, video, music, and Xbox SmartGlass on Windows 8 tablets and PCs when the new OS launches, expected later in 2012. Microsoft's Web browser is coming to Xbox 360 in the fall with a new Web hub that lets you navigate online content using Kinect voice and motion control, or use the SmartGlass app to turn your mobile device into a virtual touchpad. Internet Explorer will have the same Metro-style look as Internet Explorer 10 in Windows 8. 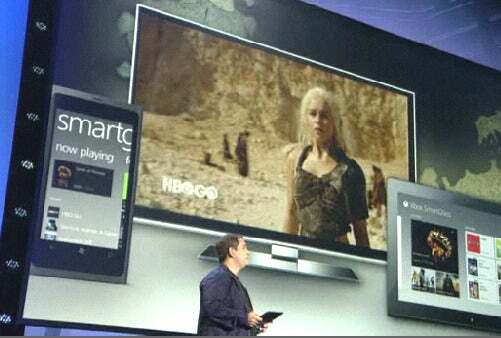 IE on Xbox 360 turns any TV into a SmartTV, Microsoft said. Halo 4: The next installment in the popular gaming series for Xbox heralds the return of John “Master Chief” 117 as the main character. Due out November 6, 2012. Gears of War: Judgment: A prequel to the original Gears of War coming in 2013. Call of Duty: Black Ops II: The latest in this franchise will launch first on Xbox 360. The video during Microsoft's E3 event showed a section of the game taking place in Los Angeles where terrorists and drone airplanes are wreaking havoc, while G20 leaders the world over are under attack. 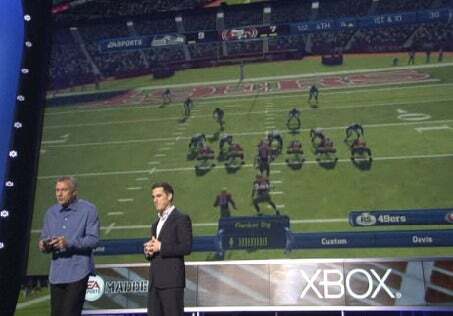 Madden NFL 13: Electronic Arts has some big plans for this year's version of Madden NFL. EA is making the biggest investment in gameplay in franchise history, EA's head of sports, Andrew Wilson said. You will be able to use Kinect voice recognition to call plays, audibles, “set, hike,” or give direction to individual players. You can also use Kinect voice to power your defense. Madden NFL hits stores on August 28. FIFA 13: Another big hit form EA with Kinect voice recognition lets you give your team clear commands for offense and defense. There is also a referee feedback feature that keeps track of how you react to calls and how often you swear at calls and have other negative reaction to the game. Splinter Cell Blacklist: The latest game in this popular series is set on the Iran-Iraq border where you battle terrorists who have a list of U.S. targets called the Blacklist. Your job is to stop the next Blacklist killing. Blacklist will feature Kinect voice control to let you control your team and do classic Splinter Cell moves like saying, “Hey, you” to lure a terrorist towards you and then finish him off. Splinter Cell Blacklist ships in Spring 2013. Fable The Journey: A fantasy game that uses Kinect motion control. Hits stores this holiday season. Nike Plus Kinect Training: Personal Training-style program that guides you through workouts, assesses your performance and gives you feedback with reports on how you're doing. Coming Holidays 2012. Forza Horizon: A new action racer that mixes Forza motorsports with open road racing. Shipping in fall 2012. Tomb Raider: Lara Croft is back with a new mature direction for Tomb Raider. Due out in 2013. Game makers Crystal Studios also announced that the first piece of downloadable content for the new Tomb Raider will come first exclusively to Xbox 360. Resident Evil 6: Capcom showed off the latest version of its dramatic horror franchise coming in late 2012. Wreckateer: A new Kinect-powered slingshot game coming exclusively to Xbox Live. The basic idea is to wreck castles using a giant slingshot. Launching this summer. South Park: The Stick of Truth: This RPG basically looks like a giant mash-up of everything you've ever seen on South Park. And it's no wonder. South Park co-creator Matt Stone said during Microsoft's event that he and partner Trey Parker wanted to create a game that made you feel like you were in an episode of South Park. The game looks just like the show and involves you trying to become the fifth member of the South Park gang that includes Kyle, Kenny, Stan, and Cartman. Coming March 2013. Dance Central 3: Kinect-powered with moves from the past and the present, coming this fall. There were also teases for three new Xbox 360 exclusive franchises coming in 2013 including an Asian-style demons and dragons adventure game called Ascend New Gods. LocoCycle from Twisted Pixel, and a Tron-like maze game called Matter from filmmaker Gore Verbinski.